Anyone with missing teeth would wish to have it restored as much as possible. The condition does not merely leave a space in between teeth; it causes the patient to feel less confident, change their appearance, and affect their overall health. Missing teeth can result in bone loss and gum recession which leads to the change of the overall facial structure and even more tooth loss. Spaces in between the teeth can harbor the growth of harmful bacterias that can cause several dental complications like gum disease. There are also several health conditions can be linked to the oral complications and any developing issues should be taken care of urgently. At Rock Point Family Dentistry, we help our patients get only the best treatment they deserve for their overall wellness. For missing teeth, we offer the most sought-after procedure due to its many advances that are favorable for patients. Dental implants provide a more natural-looking, durable, comfortable, stable, and permanent teeth restoration patients can enjoy. 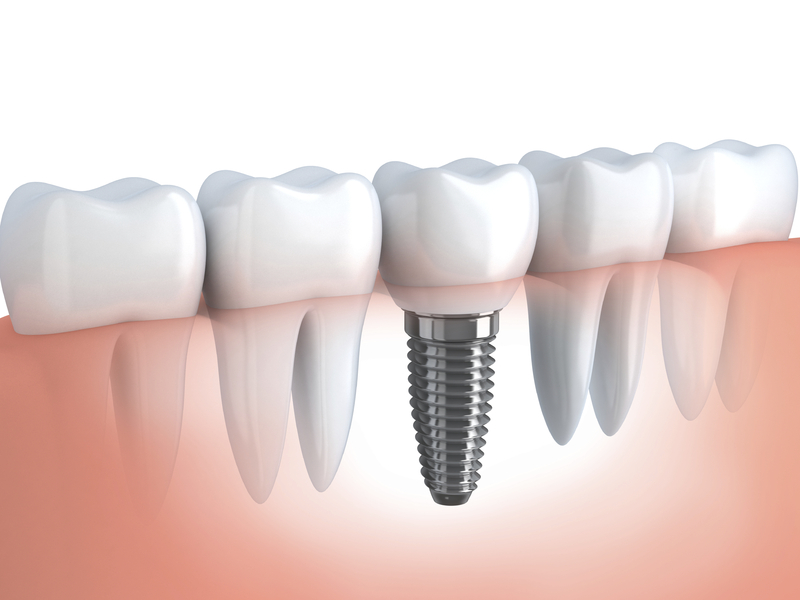 Dental implants are screw-like dental device surgically and strategically placed on the patient’s jawbone to serve as the roots that would support the placement of dental prostheses. Dental crown, bridge, and dentures would serve as the replacement teeth depending on the needs of the patient. What makes Dental Implants a Better Teeth Restoration? Titanium the material used for dental implants are known to promote Osseointegration. It is the process where the bone forms a natural fusion with the implant post forming a better foundation for the artificial teeth. Due to osseointegration, a dental implant procedure has a fortunate side effect due to bone growth which strengthens and stabilizes the teeth replacement. The implant post becomes a part of the mouth giving off a natural look and feel for better functioning. Materials used for the dental prostheses are tooth-colored to make sure that it closely resembles any remaining teeth. They are formed, colored, and sized based on the patient’s original teeth for better-looking aesthetics. The placement of dental implants does not require the support of any surrounding teeth which preserves more of the healthy structure and provides better aesthetics. Since it provides a more permanent, stable, and durable teeth restoration, dental implants boost the overall health and wellness of patients by providing a solution for their dental concerns. With proper dental care and hygiene, dental implants can provide long-lasting smiles that can even last for a lifetime. You deserve only the best and outstanding dental care services. We provide Dental Implants in Cedar Park, TX for teeth restorations. Book your appointment with us at Rock Point Family Dentistry and let us help you achieve beautiful and natural-looking teeth for overall wellness!